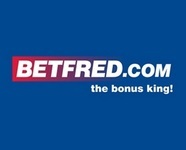 BetFred is one of the UK's biggest high street bookmakers. They have a good range of markets and odds and some quite generous ongoing offers for major events. Payouts are generally swift and always free of charge. They can be quite quick to limit the bet sizes available to winning players. The site offers e-mail and free telephone support, with prompt, competent replies to e-mail queries.